Cooking, these days, is not the same as when we were younger, with the meat and three-vegetable dinners each night. This is largely due to the cuisines that have been introduced into our country, and the modern willingness to experiment with new foods. 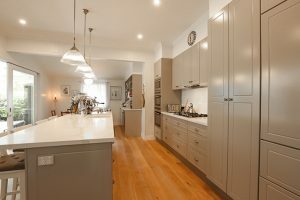 Numerous cooking shows on television have also put the kitchen into a higher bracket of popularity and modern designs have actually put many of them into the limelight. 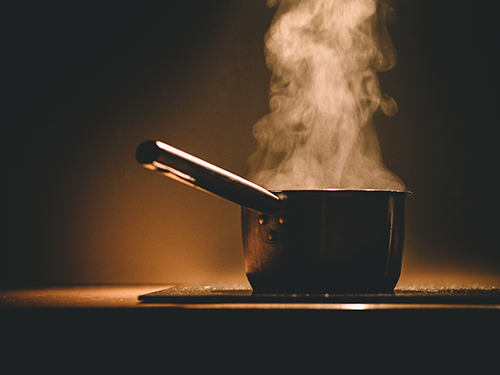 Preparing, cooking and serving meals has now become an art form instead of a chore and a great kitchen is a bonus. Kitchens have advanced a long way over time. When it comes to storage, it has places for everything with easy to access pull out shelving, swivel stands for corner cupboards also allowing ease of access and making them a place you don’t mind having to work in. Of course, a large airy kitchen is a joy, with all the right appliances, ample bench space and plenty of storage for everything. But unfortunately, all kitchens are not the same in area, and modifications must be made in order to accommodate them. However, this does not mean the kitchen is inadequate. It just means it needs to undergo certain adaptable changes to make the space more available. One way of making a room appear more spacious is using white paint on the walls instead of darker colours which can make the room appear smaller and enclosed. Putting brackets on the wall in the cooking area to hang egg flips, slotted spoons and ladles etc, will save on drawer space, and magnetic brackets which hold knife sets for cooking are also a good idea for the same area. An island bench in the middle of the kitchen is great where bench space is limited, and by making the bench top wider on one side, this will enable a stool or two to go underneath. Great for sitting and chopping food, or just checking out recipes! Have one end of the bench made into shelves to hold your recipe books, and storage for food preparation utensils and bowls, or perhaps appliances. 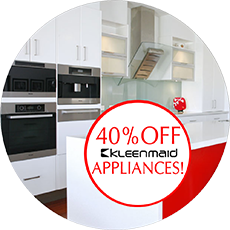 This can all be included in your kitchen designs in Brisbane at the planning stage. If space allows it, a closed in mobile tray that can be used for storing crockery and cutlery for the dining table inside, and beverages or other items on top, is a very useful idea for making the most of a small kitchen, and it can be rolled back in place when not in use. Mug trees don’t take up much room on the bench and save extra cupboard space. These are just a few ideas for smaller kitchens. 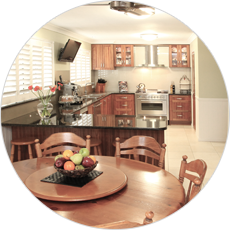 If you want your kitchen renovated but the space is small, don’t be disheartened. There are loads of space saving ideas to create amazing kitchens even if the space is restricted, especially with the right team and advice. 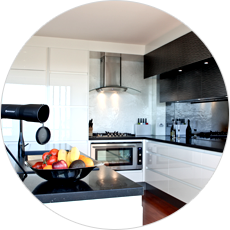 The good news is that you have found that team in us, Craftbuilt Kitchens. Our professional designers, showroom staff and installers will have your small kitchen looking fantastic in next to no time. When it comes to the creative work, our team can carry it out; size doesn’t matter. If you’re looking for some great little ideas for extra storage space in your small kitchen, keep reading. You can get a lot more out of storage spaces if you use shelving. Where cupboard or drawer space is lacking, you can add shelving to your walls or even extra shelving in cupboards. Shelving on walls can hold cups and glasses, for example. On the other hand, using stackable shelving you can fit in extra plates and plastic containers. Bulkheads above your cabinets can be a viable space for storage. When this is removed, you can use baskets for storing different items or simply place items on top of the cupboard. This form of storage, however, will require you to be diligent with your dusting on top of cupboards. Sometimes there is a drawer in the kitchen that is used for miscellaneous items such as foil, plastic wrap, garbage bags and more. Keep this drawer free for other items and store miscellaneous items more wisely. The cupboard under the sink is perfect for these items. You can get storage racks to attach to doors for foil, et cetera. You can use installed rods to hang spray bottles of cleaners and rods to act as dispensers for garbage bags. 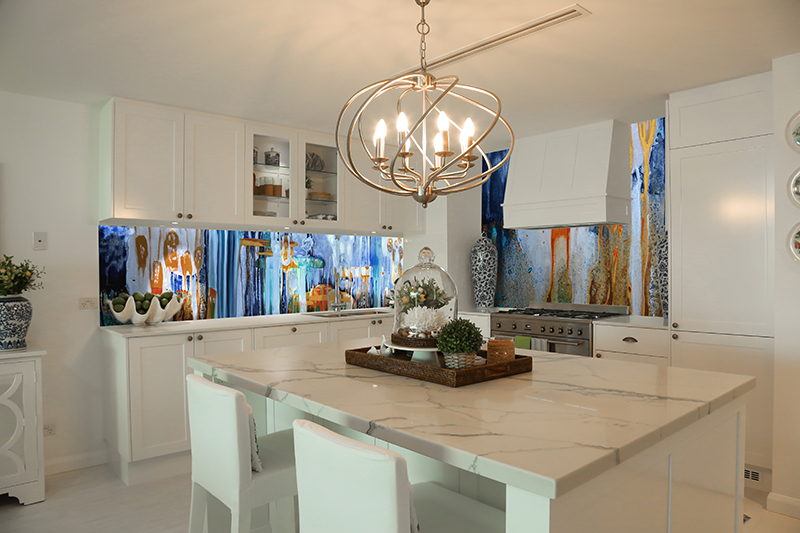 Island bench tops are a great way to use the space well. If you get high bench seat, this can double as your dining table. You can even consider getting an island bench on wheels so you can move this out of the way when not in use. Hanging rails are great for freeing up bench or cupboard space. If you can hang pots then you are able to effectively free up a whole cupboard and it saves you from bending down every time. Alternatively, hanging baskets with fruit and other items, above benches will mean you don’t have clutter on your bench or fruit bowls. This gives you more space to work in. 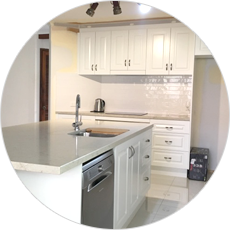 Your options are plenty; for best advice that fits your own kitchen needs, contact us at Craftbuilt Kitchens today at (07) 3341 9166 or visit our showroom at 2958 Logan Road, Underwood QLD 4119.